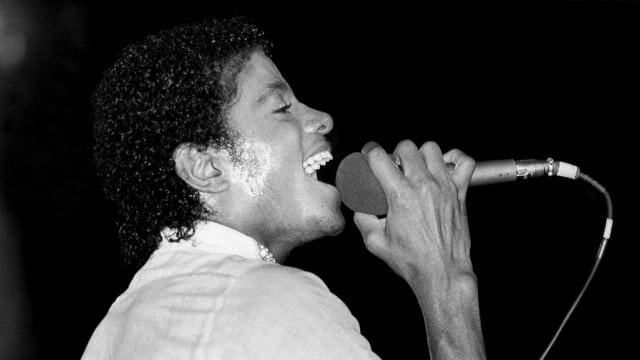 Michael Jackson fans and pop culture collectors are being presented with a rare opportunity to own a piece of history. As reported, the iconic black loafers that the King of Pop wore when he first debuted his signature moonwalk dance move is being placed up for auction. Per CNN, the Florsheim Imperial leather shoes were first worn during the 1983 rehearsal for the Motown 25 TV special, with MJ debuting the move during a career-defining performance of "Billie Jean." According to reports, the shoes in question are expected to be sold at "the very conservative estimate" of $10,000. Per the accompanying certificate of authenticity, Jackson referred to the pair of loafers as his "magic shoes." "Anything related to Michael Jackson is extraordinary, and to have something so incredibly historical as these shoes worn by Michael when he first did that now famous moonwalk is beyond special," Brigitte Kruse, owner of GWS Auctions, shared in a statement to CNN. "We are so very honored to be able to offer them at auction." The shoes also don a signature from the late performer and are marked "Motown 25." A handful of other items from the legendary performer will also be going up for auction, including his red Christian Dior cardigan and his Swarovski-laden riding helmet. Recently, Jaden Smith paid homage to the late pop icon, performing the classic moonwalk dance move during his performance at Rolling Loud in 2017.